On a recent Called to Coach, we spoke with Andrew Sloan, human futurist, Gallup-Certified Strengths Coach, therapist and technologist. Our conversation was hosted by Gallup's own Claire DeCarteret from Gallup's Sydney, Australia, office. 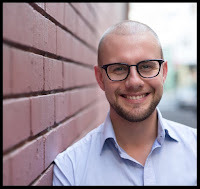 Andrew has a passion to use technology to benefit humans in what he calls the "faster future," and in his strengths coaching practice he combines strengths and therapy as he works with individuals and teams. CD: Andrew, can you tell us where people can find you if they’d like to? AS: Yes, please head to https://andrewsloan.com.au and I have a contact page; all my details are there. Andrew Sloan supports people to live deliberately. He is a therapist, Strengths Coach and futurist working specifically with individuals and teams. He helps us to transform ourselves so we can thrive in a faster future. His experiences have earned him a master’s degree of sorts in self-awareness, engagement and talent. Andrew's toolbox also includes graduate and postgraduate degrees in business administration and counseling and psychotherapy. Andrew has worked with hundreds of people in and outside of businesses who wanted to reduce complexity to enable change. In working with teams, Andrew has experience across a range of industries, including financial services, property, education, training, networking, events, technology and the creative arts. In combining strengths coaching and therapy, Andrew brings us tools that approach the whole, not just part of, our experiences. With him, you will explore your strengths, navigate complexity and distil experiences down to their essential parts. Andrew Sloan's top five strengths are Strategic, Woo, Activator, Communication and Ideation.